From starting school to starting university – being a parent is all about handling CHANGE. Handling change is one of life’s greatest challenges and is a major element in my work with parents. My passion is to help parents handle change positively and with clarity, direction and confidence. Change is inevitable and although it’s perfectly natural to resist the changes in your life and feel overwhelmed and anxious about them, you can also learn and choose to adapt to them and benefit from them. It’s about learning to embrace a new perspective to your circumstances. When change happens in your life, from your daughter growing into a beautiful and independent teenager, your son going off to University, your youngest starting secondary school or your partner wanting a divorce, you have a choice. You can either co-operate and go with the natural flow and rhythm of life and learn to bend or handle these shifts with subtlety, or you can become frozen with fear and resentment, become bitter and detached and slowly isolate yourself from the joys of new opportunities. Always remember, as frightening as they might seem, new phases of your life and new experiences offer you a chance to grow, learn and explore yourself. There are basically two types of change that I’m going to talk about. These are Cyclical Change and Structural Change -neither of which you can control. Cyclical Changes are like the changing of the seasons. They can include your child going back to school in September, or moving up a year. It can include watching your child grow, mature and become more independent with every new year – what I called moving from shoelace skills to the spreadsheet skills of growth. These changes happen in natural cycles and are a normal part of watching your child grow up, and it is important to remember to enjoy and embrace those changes. Then there are the structural changes of getting divorced, getting re-married or losing a loved one. Structural changes are the kind in which an element in the environment may be gone forever, or a new element has arrived that changes the way that things are for good. This type of change can have the power to sweep you away and take you crashing over the waterfall… but only if you try to resist them and ignore them. Starting to get yourself into the right mindset can help you to deal with change. Calmly asking yourself empowering questions like “What do I need to do to feel more in control of this situation and to get myself back in to the driving seat of my life again?” is a very useful and positive way to help you focus on getting back the feelings of control and direction in your life. 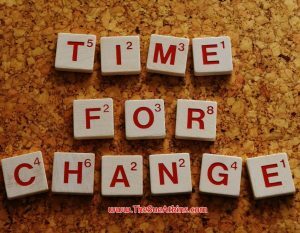 Of course, change can be a time of grieving, disappointment and huge loss. At such times, remember that what you are going through is a process. There may be a time of healing in which you take stock of what you have – but after a time it is healthy to start to look towards the future and to approach the changes in your life with growing anticipation – even excitement – and certainly with acceptance. So, to begin to embrace change more easily begin to ask yourself “better” questions which help you move steadily forward not looking back in anger and regret. Learn to work alongside change and see it as an opportunity to grow and you’ll feel far more relaxed and able to handle whatever life offers you. The post From starting school to starting university – being a parent is all about handling CHANGE. appeared first on Sue Atkins The Parenting Coach.